At the beginning of the eighties, the building, which was built around 1800, was prepared for students to live in. Previously, it housed the land registry office Göttingen for a long time. 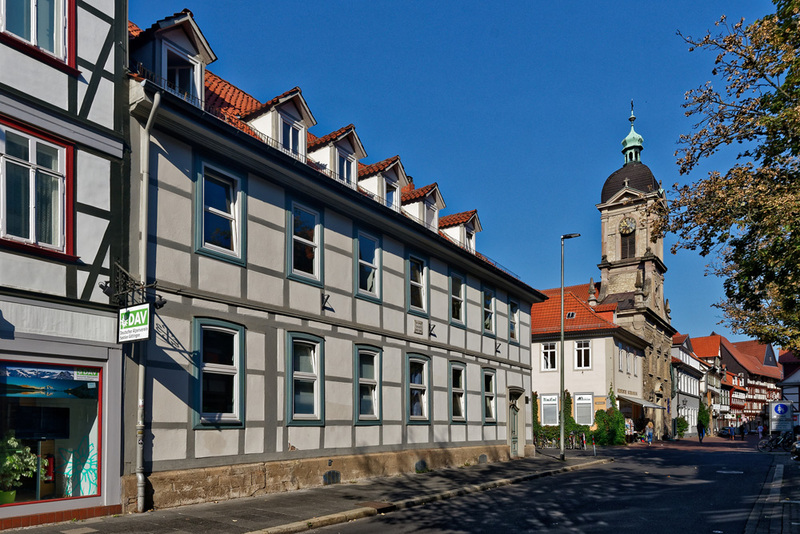 Since the famous mathematician C.-F. Gauss stayed here during his stay at the University of Göttingen from 1808 to 1816, the house was named after him. The house with a total of 33 single rooms is located directly on the edge of the pedestrian area. Three times a week you can visit the nearby weekly market and the city centre is right outside the door. In the small courtyard you can relax from your study. The campus and the central canteen can be reached by bike in 10 minutes.